You don’t have to be religious to appreciate sacred geometry. 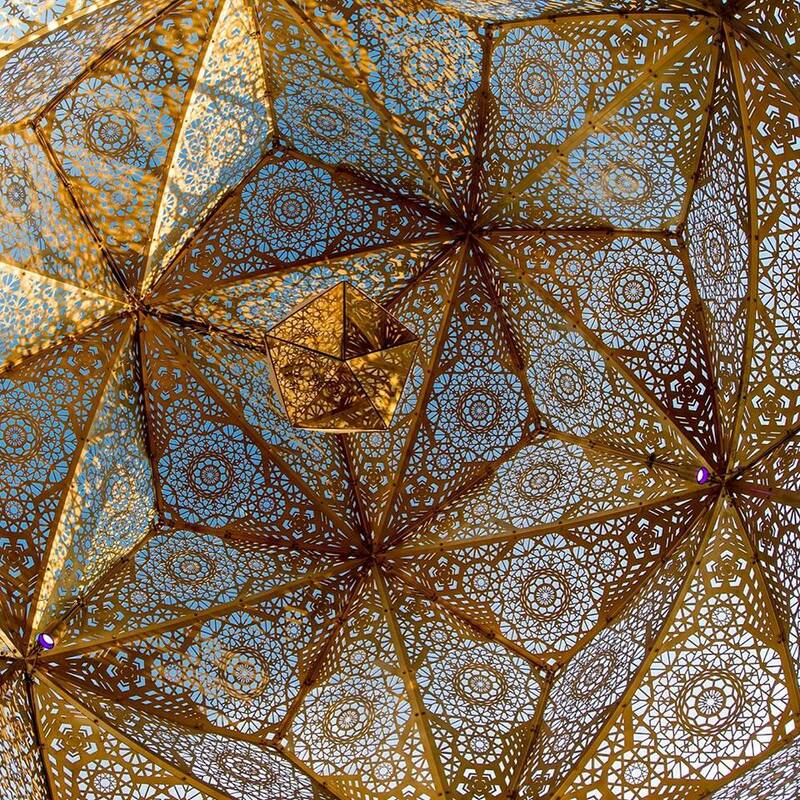 According to this notion, there are certain patterns and proportions that occur in nature, which go into the design of churches, temples and monuments but are also revered by mathematicians and philosophers. Think of the spiral and a snail shell. Or the Fibonacci sequence. 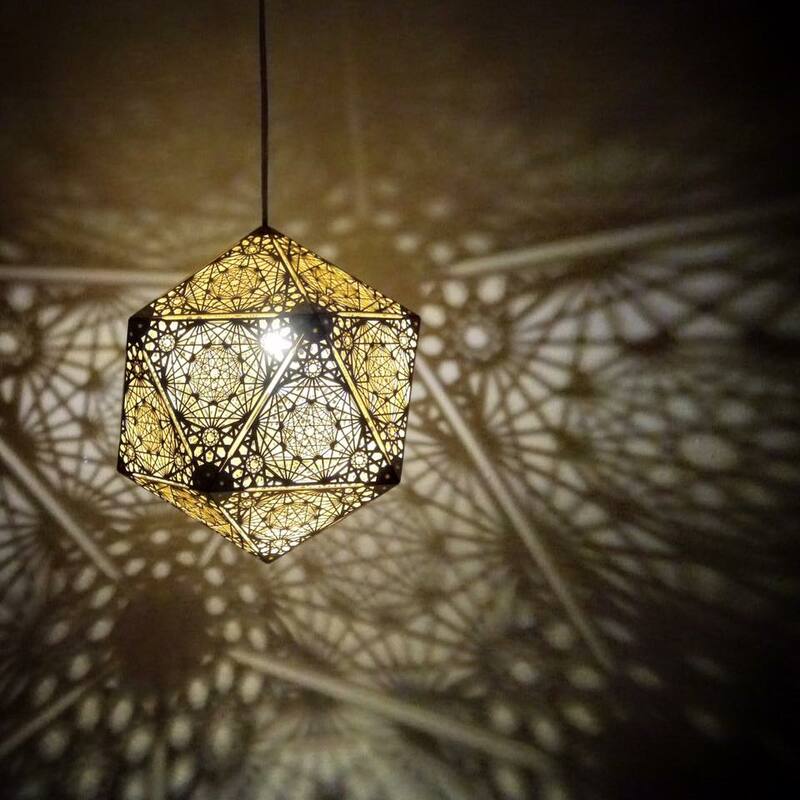 Cozo in San Francisco wants to bring geometric art into your home via lights, sculptures and other designs. 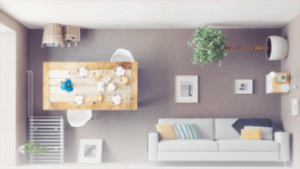 Their nascence began with an installation project called HYBYCOZO in 2014. 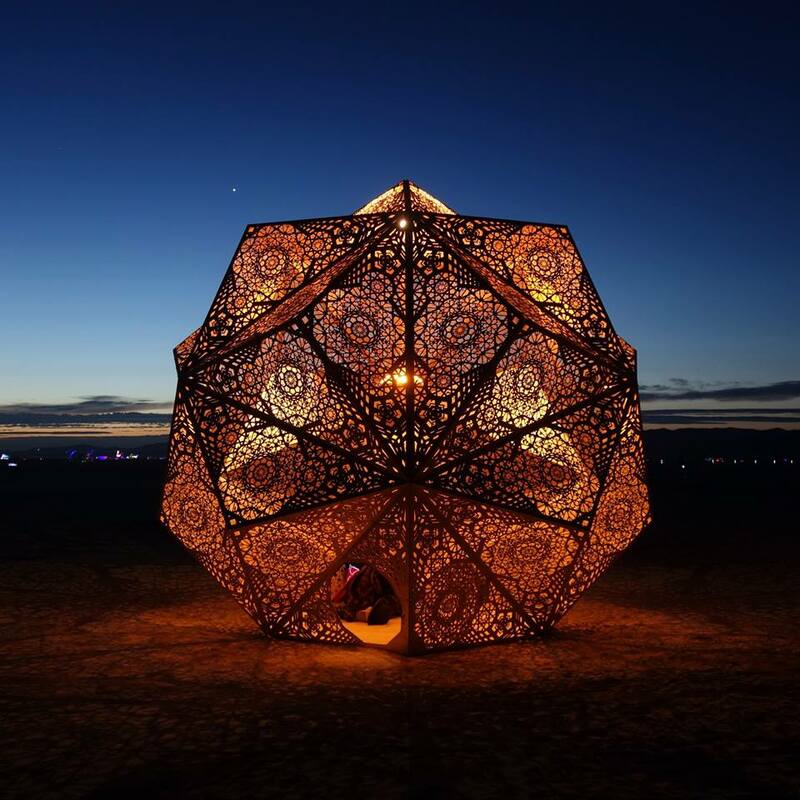 The team just returned from Burning Man where it showcased its latest, large-scale creations, which it described on Kickstarter as “[a] laser-cut geometric wonderland, interactive light installation, and a sanctuary for contemplating life, the universe, and everything.” They also recently exhibited in New York City at 317 Gallery and in San Francisco at city hall. 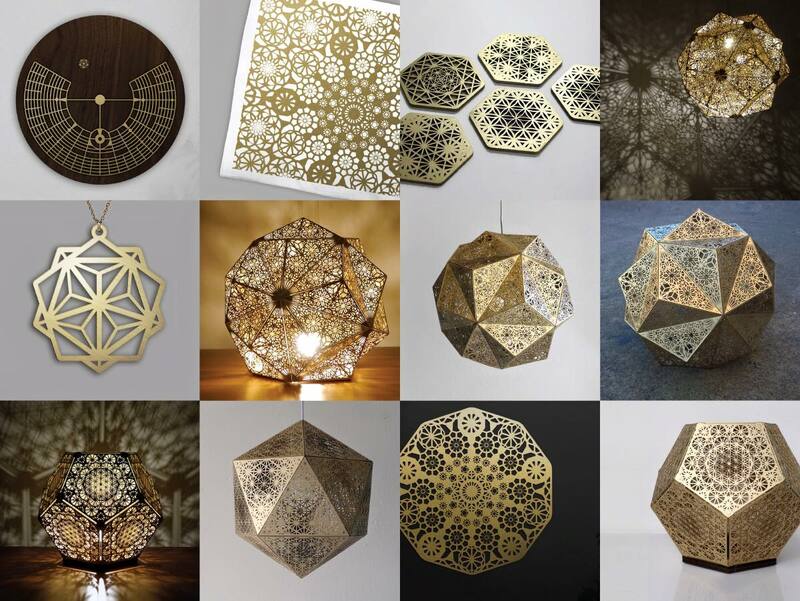 Pieces are so sought after that the entire online store is sold out, but Cozo is hard at work laser-cutting to replenish the merchandise. They make everything to order and in very limited quantities. Once a piece is gone, it’s gone. Each in unique. 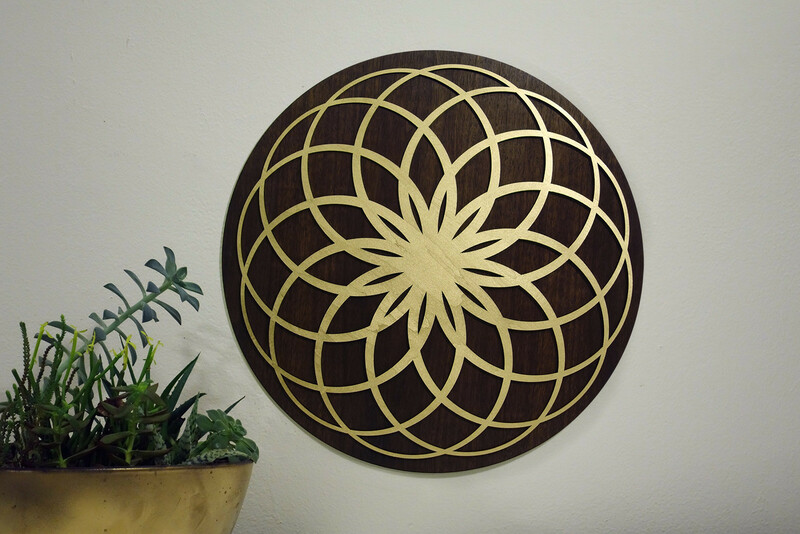 The gorgeous items are made of laser cut wood and painted in gold. 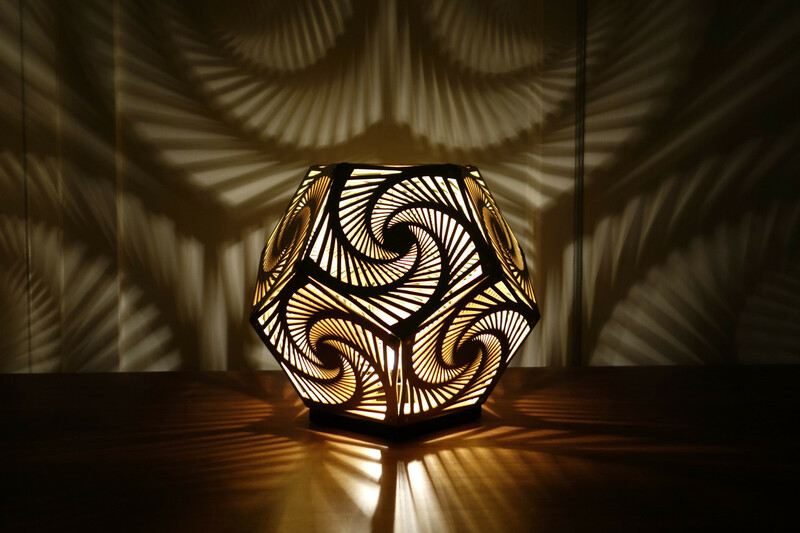 Their creations range from pendant lights and table lamps that cast incredible shadows to mandalas, coasters and more. You can follow them on Instagram @hybycozo and purchase some of their smaller items at their online store. Learn more at www.facebook.com/cozodesign and cozodesign.com. 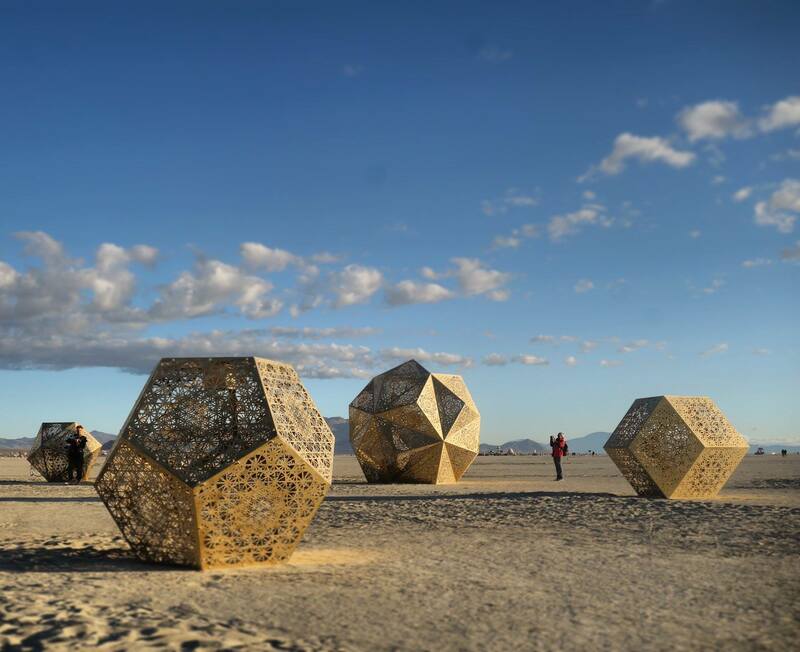 “HYBYCOZO, the Hyperspace Bypass Construction Zone, is a series of large scale installations and artworks that investigate geometric exploration through light, shadow, and perception.